The South African government has accused Trump of trying to divide the country. 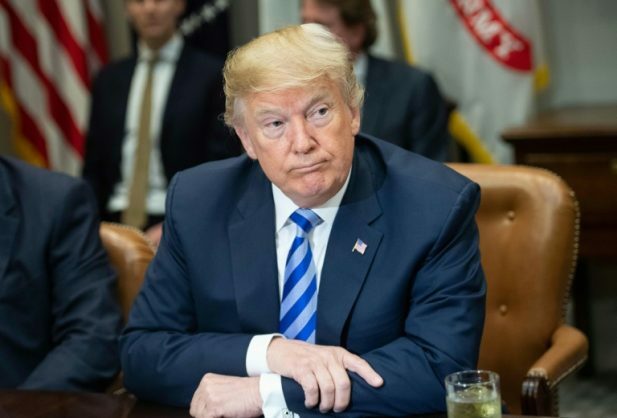 The South African government accused United States President Donald Trump of sowing division Thursday after he tweeted that the State Department would probe “land and farm seizures… and the large-scale killing of farmers”. Trump’s tweet apparently followed a segment on conservative Fox News about Pretoria’s plan to change the constitution to speed up expropriation of land without compensation to redress racial imbalances in land ownership. He added that he had “asked Secretary of State (Mike Pompeo) to closely study” the situation. “‘South African Government is now seizing land from white farmers’,” said the post that tagged the show’s host Tucker Carlson as well as the channel. South Africa’s official government Twitter account hit back within hours saying “South Africa totally rejects this narrow perception which only seeks to divide our nation and reminds us of our colonial past”. “South Africa will speed up the pace of land reform in a careful and inclusive manner that does not divide our nation,” wrote the government in a second post. As the 2019 elections approach, President Cyril Ramaphosa has intervened to accelerate land reform in order to “undo a grave historical injustice” against the black majority during colonialism and the apartheid era that ended in 1994. Twenty-four years on and the white community that makes up 8% of the population “possess 72% of farms” compared to “only 4%” in the hands of black people who make up four-fifths of the population, according to Ramaphosa.